and Flesh of the Peach. She is represented by Jenny Brown. Helen’s debut novel Flesh of the Peach was published in March 2017. Flesh of the Peach tackles the immigrant experience, grief, art, violence and desire in various guises – all sprawled across the big landscapes of the New Mexican Southern Rockies, NYC, and the Cornwall of the main character’s childhood. The Skinny called it “an exhilarating debut. It houses a story rich and full.” The Herald called McClory “one of the best new writers to have emerged in Scotland in the last few years.” The launch was in Blackwell’s Edinburgh on the 25th of April 2017 and Helen wore a gold jumpsuit and vintage cape at it, because the internet advised her to do so. She appeared at the Edinburgh International Book Festival with Meena Kandasamy on the 15th of August, 2017. 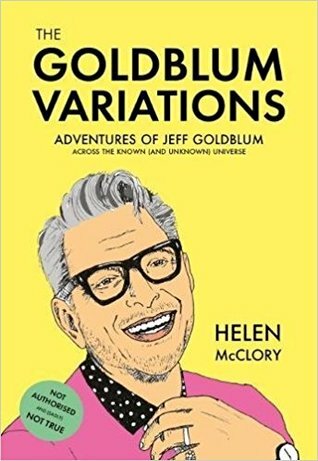 In 2017 Helen wrote a pamphlet, The Goldblum Variations, on alternative-world Jeff Goldblums, which was available in a limited edition from 404 Ink. It was then reissued as a minibook, which Jeff Goldblum himself read from. If you would like some gentle absurdist microfiction following the notion and unreality of the Hollywood legend, you can buy it here £5. On The Edges Of Vision, a collection of flash fictions, prose poetry and longer form pieces came out originally from Queen’s Ferry Press in August 2015. The book won the Saltire First Book of the Year Award 2015 and was longlisted for the Saboteur Awards Best Short Story Collection 2016. Two of the pieces from the collection, “To String” and “The Mistress of the House on the Machair” were nominated for the Pushcart Prize. Another, “Lope”, was shortlisted for the 2014 Bridport Prize. On the Edges of Vision has been reissued by 404 Ink to coincide with the release of Mayhem & Death. Here’s a list of publication links for some of the pieces in both collections. That’s me on the left, paying rapt attention to Laurie Foos at Kramerbooks in Washington D.C.
On the Edges of Vision originally launched in Waterstones Argyle Street on the 20th of August. 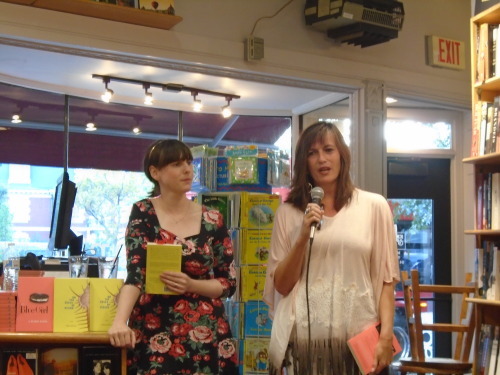 Helen McClory took the book on Kickstarter-funded US tour from 24th of August to the 6th of September 2015, reading at bookshops up and down the American East Coast. View the tour blog, archived here. Have time for a podcast? Here’s two – Mr Bear’s Violet Hour Saloon (in which she and Mr Bear read from On the Edges of Vision) and Book Fight (in which Helen talks about one of her favourite books on female (toxic) friendships, Paulina & Fran). Or have a look over on the Press section for reviews, interviews, and more. From the 31st of October to the 7th of December 2013, Helen was a Creative Futures Artist-in-residence at the Banff Centre, Alberta, Canada. Search posts tagged ‘banff’ for more on her experiences there. Before She went, She had just finished a stint as Writer-in-residence at Necessary Fiction. Check out her project – bringing attention to Literature of the Girl – in their archive (September 2013). If you would like to ask Helen anything, or would simply enjoy a chat about writing and bookish matters, say hello on twitter: @HelenMcClory. Interested in having Helen speak at your event, school, college or uni? Find her in the Scottish Book Trust’s Live Literature Database. I hope the controlling ‘father’ is not based on me!! Absolutely not! He is atrocious, a hypocritical horror somewhat based on the stereotypes of a wee free minister, somewhat crossed with Nosferatu (without the supernatural elements). Rest assured. Just subscribed. Looking forward to reading more, and seeing how your writing career develops. You look kind of spritely, yourself. Thank you, David – I have to let my dad know he’s not the influence behind the ‘baddie’ (for want of a more precise word) of the novel. I’ve only skipped into the edges of Maine, along a lake which bands the dividing line between it and New Hampshire. Beautiful, New England. I look forward to reading more about it on your blog. I’m assuming you have been playing along the water’s edge of Umbagog, but there several other find bodies of water to enjoy between the states. i think cycling from California to Washington would be fun! I found your blog via Betsy Lerner’s. Based on your comments, I figured you for a Scot and wanted to confirm (I’m Canadian; a child of immigrant Scots) Who else would name their characters Kyle and Hamish? Coincidentally, my son is named Kyle and my dog Hamish. Seriously. Good guess! Funnily enough, my neighbour’s loyal collie dog was called Kyle, and my babysitter’s child was named Hamish! I love both names. Oh, and I have some relatives in Canada, we share a surname for the most part. Thanks for clicking over, and for following me on twitter. I have enjoyed visiting Schietree! Your witty remarks and expressive visuals in words are a feast for the senses! The photos are inviting as well — added bliss! Congratulations to you on your PhD! I have added Schietree to my blogroll. I welcome you to please stop by my little corner of the world sometime at Botaniscape. Thank you for your kind words – I had a look at your site: you have some lovely photographs there. Helen, Gill and I have been nominated for Most Versatile Blogger award. We enjoy your blog and are including it in our list of favorites. All best wishes to you! Pingback: The McClory Variations: The Scots Whay Hae! 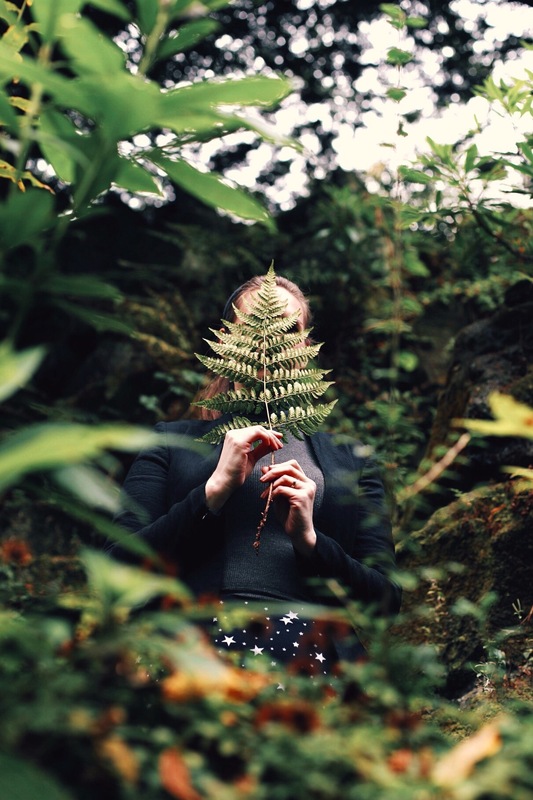 Podcast Talks To Helen McClory… | Scots Whay Hae!